Renewable Resources is one of the providers for curbside trash and recycling in Warrick County and is the only provider that is locally owned and operated. They have approached the Castle Boosters and offered to give 10% of every month’s service bill that you spend with them back to the Castle Band Boosters. This is for current customers and new customers, and continues for so long as you remain a customer! All you have to do is sign up. If you are a current customer or wish to switch services and sign up so that 10% goes back to our own CMKs, log onto the Renewable Resources webpage at www.renewable-resources.org and go to ONLINE SIGNUP. 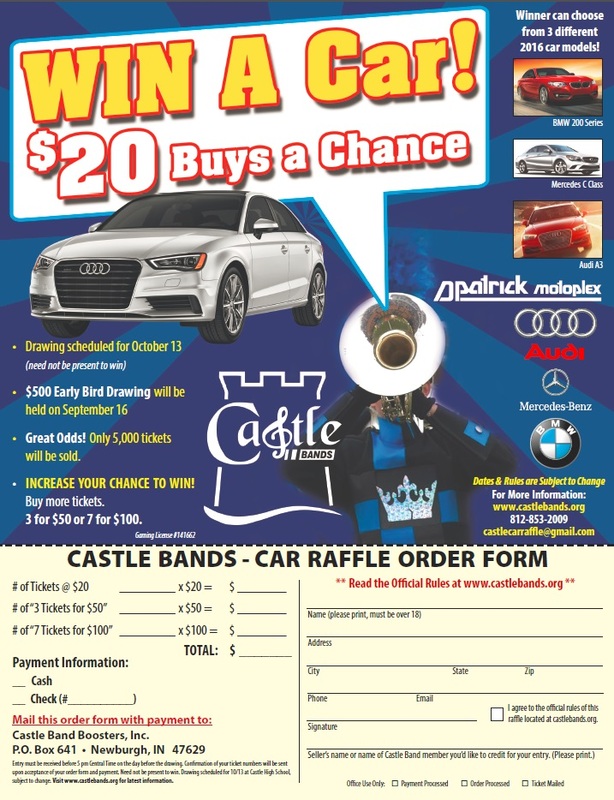 On the Online Signup page input your name and address and scroll to the bottom to support the Castle Band Program. You may also call or email them at (877) 752-3024 or info@renewable-resources.org. Not only sign up, but tell your family and friends and share on social media! Everyone can sign up for this wonderful ongoing support of our Band Programs!